there is decaying of elements in our own body? Yes, and most of that comes from potassium-40. There are a few thousand decays every second in your body. And also the air we breathe is radioactive (radon). Radon itself is not a problem, but its radioactive decay products stick in your lungs and long term exposure accumulated over years might be harmful. The source of radon is uranium and thorium rich rock, so your exposure depends on the bedrock where you live and how much time you spend indoors. midtskogen, so we dont only obtain radiation from the outside, but also from inside our atoms in our body? Yes, most of radioactivity you're exposed to has a source inside your body if you live a normal life. midtskogen, didnt know that! thought about it suddenly after all of the decays speaking. While still on the topic of radioactivity, I just found a small radioactive source (Lead-210) that I used in a science project back in the year 2000 (I was experimenting with a cloud chamber, and it was awesome). Lead-210 has a half-life of 22.3 years, so I was curious how much of it remains (fairly easy to figure out -- about 61%). And, given the initial mass of material (not very much), how radioactive it is now (how many decays per second). I thought that would be easy, too. I was wrong... because Lead-210 has a convoluted decay chain involving 7 pathways to Lead-206. These include Bismuth-210, Polonium-210, Mercury-206, and Thallium-206. Each with its own decay timescale, with half-lives ranging from years to days to minutes. Now I have an appreciation for the difficulty of designing nuclear reactors -- they must account for all sorts of crazy decay chains in the fuel rods which constantly change the rate of heat production and efficiency. Is WolframAlpha up to the task? What is the exact/official value of an Astronomical Unit? And what value used SpaceEngine? 149 597 870 700 meters i think. It actually almost is! It was able to solve the system as far as the 4th equation, but then as soon as I put in a 5th or 6th, it fails to parse, and suddenly insists that apostrophes must stand for US 'feet' instead of time derivatives. Maybe I'll write a SciLab code to solve it, but it's a bit of effort. By the time you get down to the last 2 equations, since they depend on the previous equations, the coefficients get lengthy and it's very easy to make a mistake. I'd also need to remind myself how to solve systems in SciLab. DoctorOfSpace, yeah, that's about right. When I started reading the paper and saw the technique people originally applied to solve these systems was the Laplace transform, it brought back happy memories. But then I read 'using path integral in the complex plane' and suddenly there is explosions and death everywhere. Ah, here we go, plotting the solutions in Scilab was simple after all. So it turns out the intermediate decay series... actually doesn't matter too much for figuring out what the composition is. I should have realized that, since the half-lives are all much shorter than the half-life of the original isotope, so very little is able to accumulate before going to stable Lead-206. With one exception. The Polonium-210's half life is long enough (138 days) that it does accumulate a little bit. It maxes out at a couple percent after about 2 years, then very slowly decays away as there's less to replenish it. That's kind of interesting -- Polonium210 is a pretty rare isotope in nature, very expensive to make, and known for being quite deadly even in small amounts. Of course, the amount I have here is minuscule and not a problem unless someone ate it (alpha radiation does terrible things if inside the body). so i decided to write here about the particle world for ppl who would like to hear about it more and for beginners. without very compicated things. so here i will write about all of the particles that build our universe, the 4 forces of nuture and more. i will write some things in a format of Q&A and if someone will have any more question, he can just ask. so lets begin! Q: how many fundamental particles there is out there? to the quarks and the leptons there is 3 generation. each generation have different mass. the quarks are: up, down, charm, strange, top and bottom. and they are like couples. up-down=first generation, charm-strange-second generation, top-bottom-third generation. every generation has 1 quark that have a charge of +2/3 and 1 that has charge of -1/3. 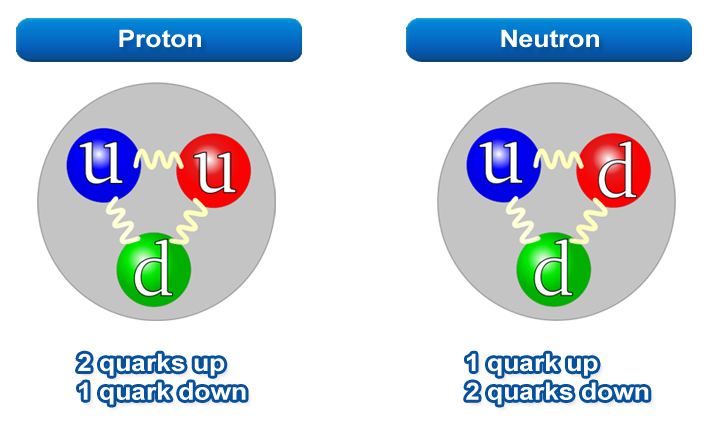 for example: the up quark have a charge of 2/3 and the down quark have a charge of -1/3. and that the first generation. the second generation is the same: the charm quark has charge of +2/3 and the strange quark has the charge of -1/3. most of the particles we know built from up and down quarks. Q: why most of the subatomic particles are made of up+down quarks? A: up+down quarks are quarks from the first generation, mean they have the lowest mass from the 3 generations. a quarks from the second and third generation will decay fast to the first generation quarks, they wont live long. example: the mass of the top quark is the mass of the entire Rhenium atom!!! that huge mass make that quark to decay very fast. the life of that quark is so low amount of time 10^25. its so low, that quark cannot participate with the strong nuclear force (we will talk about it) and with that...make subatomic particles like the first generation quarks does. Q: why proton, neutron and electron have thier chargers, these chargers (1,0,-1? A: for the proton and neutron, its thier quarks that they made of, we talked about how every quark has charge, and every generation have 1 with charge of +2/3 and 1 with charge of -1/3. with 2 of them we have +4/3. now we also have 1 down quark with the charge of -1/3. so 4-1=3/3=1. charge of +1. and that why the proton have a charge of +1 as we know it. 2 down quarks=-2/3 and 1 up quark of +2/3 -2+2=0. so that why neutron has the charge of 0. Q: so what about the electron? and his charge? A: the electron is part of the leptons, group of 6 fundamental particles. lets talk about that group. the leptons have generation exactly like the quarks, the bigger the generation...the less stable is the particle and he decay to the lower generation particle. electron and neutrino are the first generation. they are couple too. exactly like in the quarks. neutrino-electron=first generation, Muon-muon neutrinos=second generation, tau-tau neutrinos=third generation. as you can see every generation has his own electron type particle and neutrino type particle. we mostly know and see the most the first generation like in the quarks because the higher the generation, the higher the mass, lower the life time and decaying very fast to lower generations. Q: so how the leptons are different than the quarks? and why we cant see subatomic particles that made of leptons? A: the reason is that leptons are not participate and have interaction with the strong nuclear force but only the weak nuclear force. (we will talk about them later) shortly about that: its mean they cannot form any bigger type of particles because they dont interact with each other like quarks does when the build the proton etc. Q: what is anti matter? A: every particle have his opposite, the opposite will be with the same featuers but the opposite, opposite charge, same mass and same spin. example: lets look at the smaller particles: electron has the charge of -1. the anti particle of electron has a charge of +1, the same as the normal proton. now lets look at proton: anti proton. 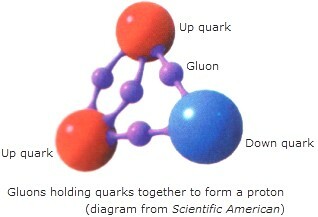 proton made of quarks, so how he can be anti particle? a up quark has the charge of +2/3 and down quark has the charge of -1/3. Q: why anti matter is so rare? A: that one of the biggest mysteries we still dont know why there is more matter than anti matter, we have expected to see the same amount of anti matter and matter after the big bang, but it doesnt seems to happend, we still not sure why this is the case but who knows, maybe there is other universes when we made of completly anti matter bodies. Q: did we ever discovered anti matter atom? A: yes we did, the largest antimatter atom we ever seen with Scientific Tools is anti atom of an helium! we will have 2 anti protons, every one of them will have 2 anti up quarks and 1 anti down quarks. so the 2 protons will have the charge of +2. there will be 2 anti neutrons. meaning each of them will have 2 anti down quarks and 1 anti up quark. and its still has the charge of 0! and around the atom there will be 2 positons! same atom but with antimatter! amazing isnt it? Q: so what about the forces of nuture? what are they? and how they take a rule in our life? A: the 4 forces of nuture known are: Electromagnetism, the strong nuclear force, the weak nuclear force and of corse gravity. Q: what particles control the forces of nuture? A: the particles that control these forces are bosons and each force has his own boson. Q: what is the electromagnetic force and what boson control it? A: the electromagnetic force is basically, part of the light we all see. 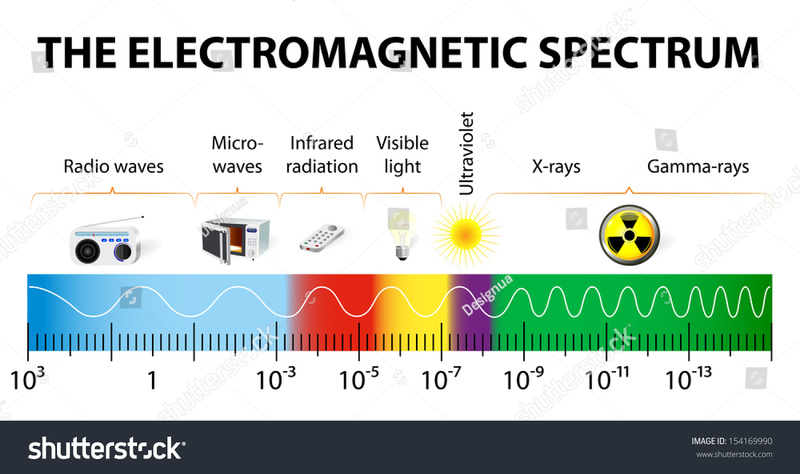 all of the electromagnetic spectrum. the boson that control this force is the photon. the photon has no mass and no charge means that anti photon will be exactly as the photon himself. Q: we probably all heard about electromagnetism, but what about the strong nuclear force? A: the strong nuclear force is the force that allowing to the fundamental particles (the quarks, lepons do not interacte with the strong force) to form subatomic particles, and big particles and atoms...basically all matter we know. the gluons and the quarks have color charge too, its very complicated and if someone want to know about it (and active his mind) can freely ask. Q: and what is the weak nuclear force? what leptons or other particles do with it? A: the weak nuclear force have big rule in the beta radiation and the radioactivity. Q: why the weak nuclear force called like that? A: the weak nuclear force got his name because this force is weaker by 10^13 than the strong nuclear force. its so weak even in the speed of light, the Range effect would be in the the size of 1000 times smaller than the size of a nuclear. Q: what boson control this force? boson W and boson Z, they have huge mass, thier mass is 100 times the mass of a proton or a mass of bigger than the entire iron atom! thier mass is so big, thier life time is very short, and that why the weak nuclear force is so weak. the Z boson has no charge at all. but there is 2 types of W bosons. one with the charge of +1 and one with the charge of -1. Q: what about the gravity? what particle controls it? A: this is still a mistery. we know that there could be some type of boson that control gravity. his name would be graviton. and would have no mass and no charge. but we still didnt find it. but we know its probably out there! Q: why we still didnt detected it? but the other bosons we did? A:the problem is that gravity, like it or not. is the weakest force of nuture! its so weak even compare to the weak nuclear force. its so hard to detect that you will need very very big detector, same as the size of jupiter. but dont worry! we getting close! recently we observed gravity waves! so what graviton is compare to the gravity wave? a graviton is probably a very small part of that gravity wave. 1 Quant of it. Q: what about the mass of the particles? where its comes from? A: all mass of all particles and things we know, probably controled by the recently discovered boson higgs particle! he probably what gives all fundamental particles thier mass. A: imagine some type of pool, outside of the pool there is particles without any mass moving. now imagine the particles get inside that pool and comes out of it in the other side...they gained mass when they move trought the pool. that "pool" is called higgs field. and its all around us and the universe. Q: so why there is particles without any mass? and that it for today. if you have any more questions, just ask. thanks to Watsisname for the help and support. i hope you guys will like it and learn more from that info. the world of particles is all around us and its very interesting sometimes not only look up in the sky and see big scales, but also get down to the subatomic scale, where it all began. Coldest Brown Dwarf or Gas Giant Planemo ? Wikipedia and this paper say that the number, N, of stellar encounters per million years that come within a radius D of the Sun (measured in parsecs) is N=4,2xD^2. So we can say that every 2 billion years a star crosses Neptune's orbit (D = 30 AU = 1,446 *10^(-4) Parsecs). But this figure seems quite strange to me. Can someone explain me what am I missing? This means that 2 or 3 stars have come closer to the Sun than Neptune in the past 5 billion years. How is this possible without disrupting the entire system? Does the rate has changed? Maybe the stars passed at this distance but not crossed the plane of ecliptic in a point nearer than Neptune? I find intriguing the idea (even a brown dwarf would have made a huge influence on the solar system this close).